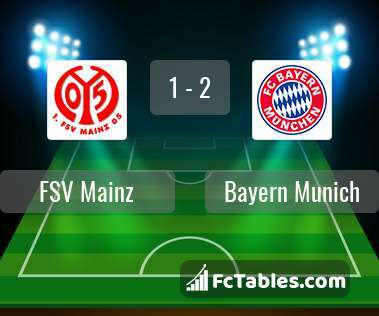 The match FSV Mainz-Bayern Munich 1. 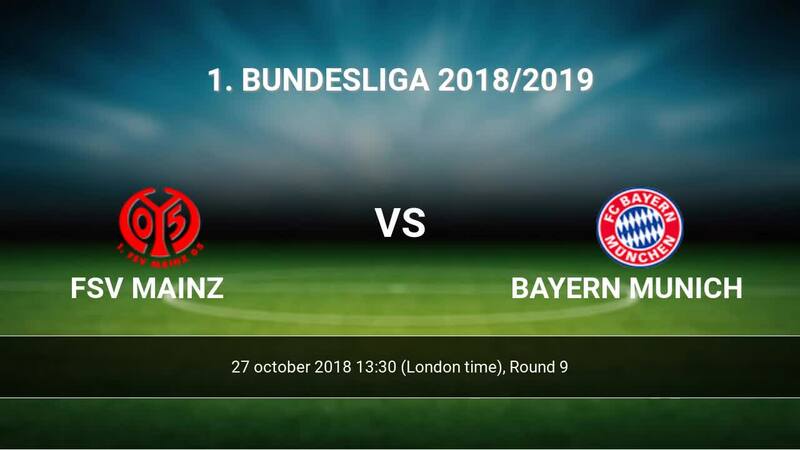 Bundesliga will start today 13:30. Referee in the match will be Harm Osmers. Team FSV Mainz is located in the middle of the table. (12 place). FSV Mainz in 5 last matches (league + cup) have collected2 points. FSV Mainz from 5 matches can not beat any rival. Players FSV Mainz in 1. Bundesliga with the highest number of goals: Anthony Ujah 2 goals, Alexandru Maxim 1 goals, Jean-Philippe Mateta 1 goals. Injuries in the team FSV Mainz: Rene Adler, Emil Berggreen, Niko Bungert, Bote Baku, Gerrit Holtmann. Team Bayern Munich is at the top place in the table (4 place). In 5 last games (league + cup) Bayern Munich get 7 points. Leading players Bayern Munich in 1. Bundesliga is: Robert Lewandowski 5 goals, Arjen Robben 3 goals, James Rodriguez 3 goals. Most assists in the club have: Robert Lewandowski 2 assists. Direct matches: Bayern Munich won more direct matches. 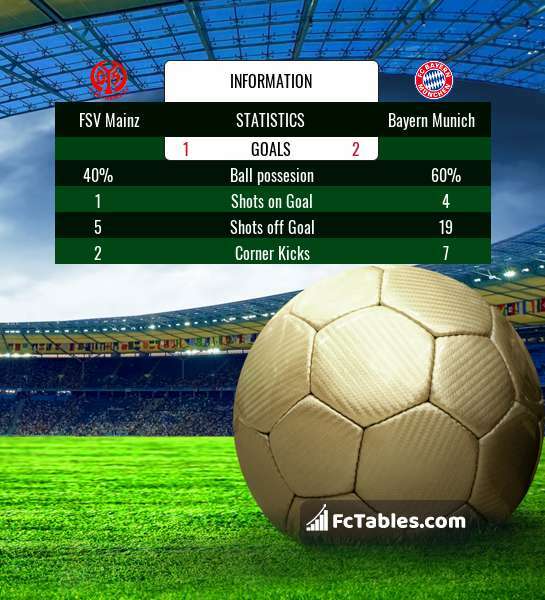 FSV Mainz won 4 matches , Bayern Munich won 20 direct matches, was a 3 draws. In 23 matches the sum of the goals both teams was greater than 2.5 (Over 2.5), and 26 matches teams scored more than 1.5 goals (Over 1.5). In 17 matches the both teams scored a least one goal (Both teams to score).